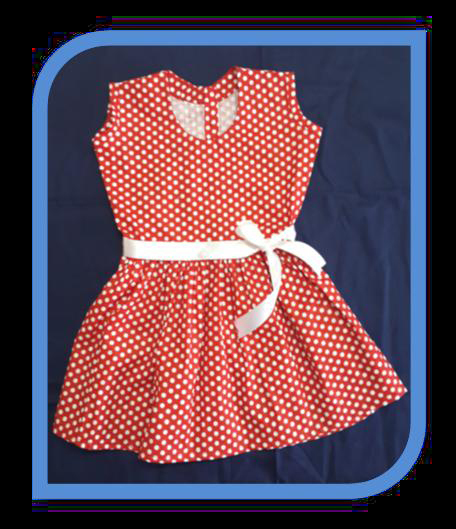 Fashion trends come and go but the little Girl’s Frock stays on, ever since its inception in the 12th century it has retained its iconic status against Spring, Fall and other fashion seasons that come and go. Though the original frock has undergone quite a few changes over time, the basic essence of the garment has stayed alive reinventing itself time and again – its latest avatar is cuteness personified. Mothers adore it, while little girls begin their love affair with fashion from their very first frock. So why not make a frock that will turn your daughter into a princess. Great idea? Yeah, let’s frock it! *Note:The following steps are for making a simple frock. 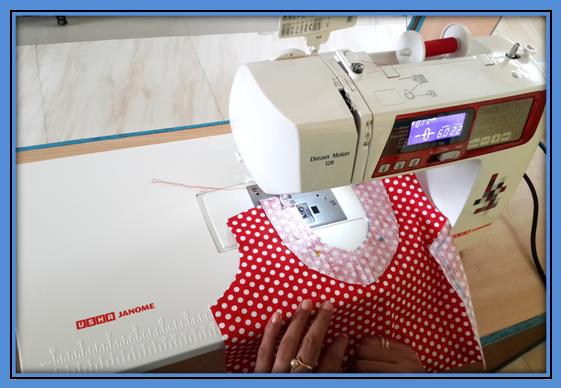 However if one wants to make a frock of different size, the actual measurements can be filled in the following box and the formulas mention in the steps of construction can be used. 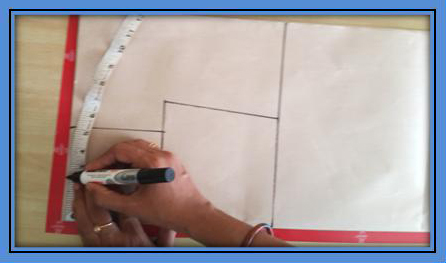 Pattern making is a onetime exercise for a garment the pattern can be used repeatedly. 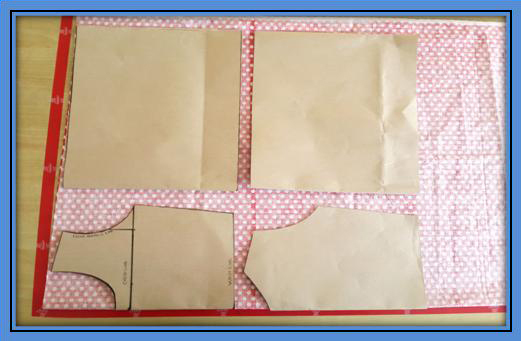 As usual with nearly every garment, we will begin with Pattern Making and follow the drafting process by cutting and then sewing. 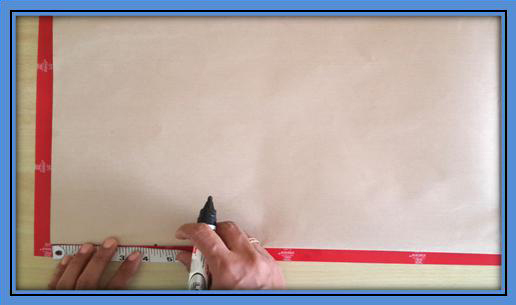 Take the piece of Brown paper measuring 36”x 46” size and fold it into half width-wise so that you your folded sheet measures 18”x 46”. 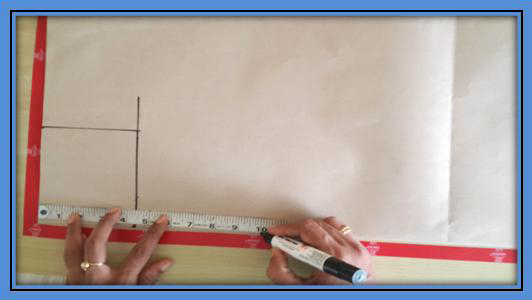 Measure and mark a point at 1/2 of Shoulder length (5 inches in our case) width-wise from the starting point. 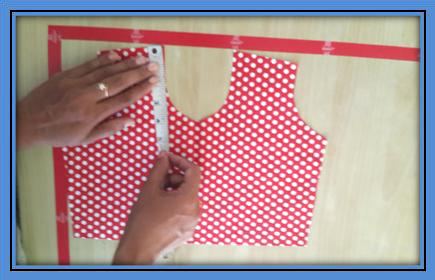 Mark a point measuring the full length of the Frock (22 inches) from the starting point across the length of the fabric. 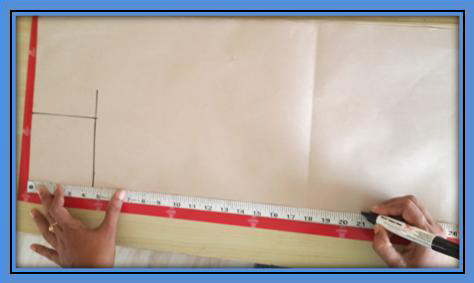 Measure and mark the Waist point at 10 inches (Body Length) length-wise from the starting point. From the newly marked Waist Point draw a Waist line width-wise measuring ¼ of waist plus 1.5 inches (6” in this case). Measure and mark 1/12 of Chest plus ½ inch (2.25” in this case) from the starting point. Call it point A. You are working on the width of the neck now. Make a point at ½ inches from the top on the arm hole line to make point C, and then join A and C with a slanted straight line. Measuring length-wise mark a point at a distance of 1.5 inches from the starting point. Follow it by joining this new point with point A using French Curve. Now simply cut out the pattern along the outer lines. 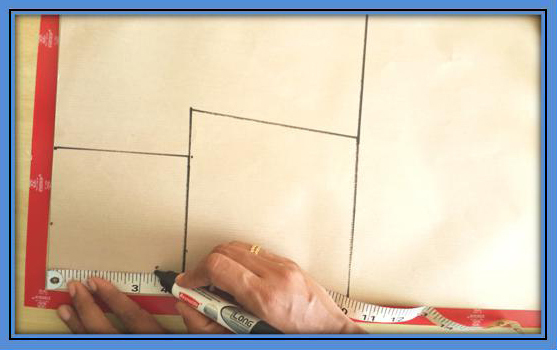 Remember that there are two panels and both need different measurements in some parts like the Neck. Hence cut them out separately. 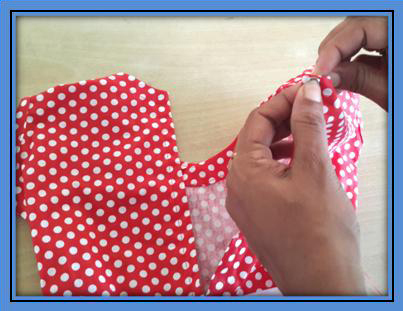 Fold the piece of Fabric width-wise into half with the wrong side up and the right sides facing each other. Next place the pattern above it aligning the back and front panels with the folded edge of the fabric. Mark the outlines of the patterns on the fabric using tailors chalk. This will be the sewing line. 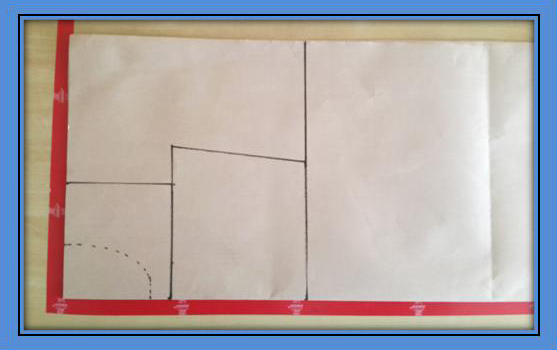 Measure and mark another line 1/2 inch away from the Sewing line across the entire outline of both the panels.This is your Cutting line. 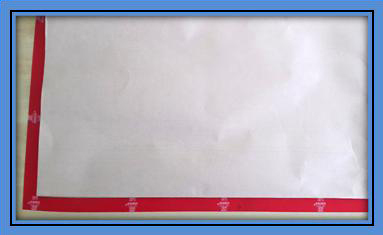 Measure the width and length of the neck of the front panel after opening the fold. Take some fresh fabric and create band with the neck measurements plus 1/2 inch. Fold the band keeping its right sides facing each other and mark front and back neck lines as shown in the figure below. Follow by cutting it into size and open fold. 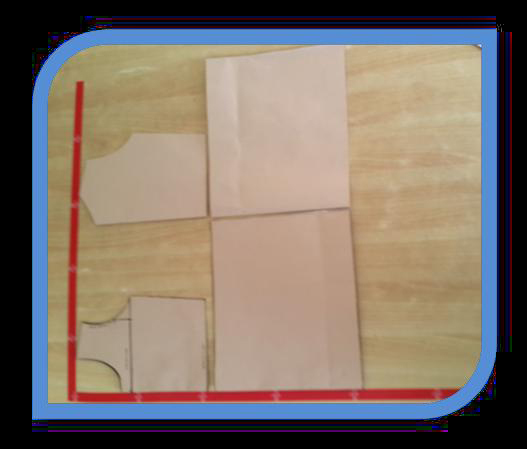 Place the Facing for front and back neck respectively on the neck cut of the main panels of the frock, make sure that the right sides of both the fabric are facing each other. 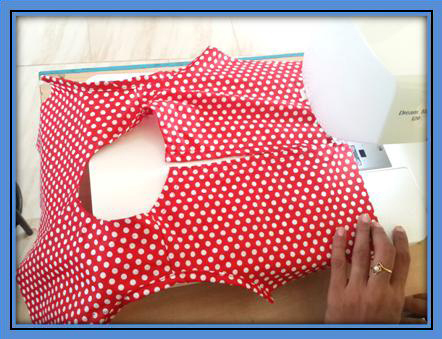 Use Pins to hold them at place ensuring that the edge of the facing and neckline are placed together neatly. 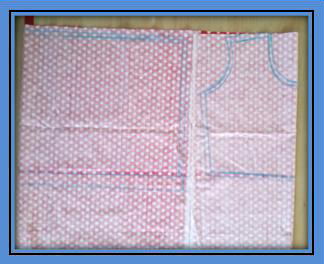 Stitch the facing and frock panel together for front and back necklines at a distance of ¼ inches away from the edge. 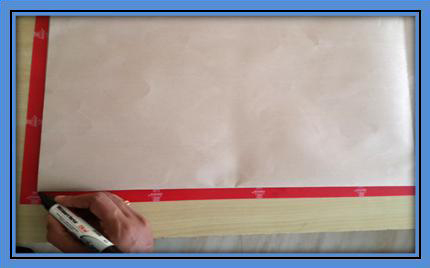 Using the ¼ inch seam foot will help in getting a very good finish. Turn the facing along the stitch line and neatly fold it towards the wrong side of the fabric. Iron the facing and edge finish with neat hemming stitch. 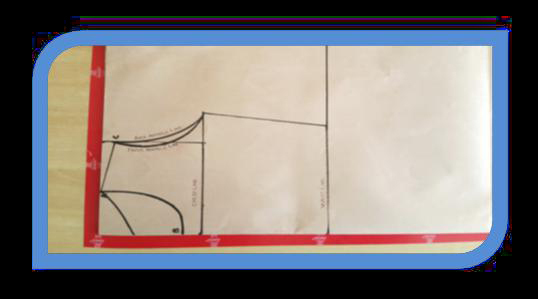 Next Machine stitch the shoulder lines ½ inch away from the edge of the fabric. Do it along both the front and back shoulder lines. Take the 1 inch width cross piece and stitch it on the wrong side of the arm hole. Once done, turn it and then stitch again, as shown as below. 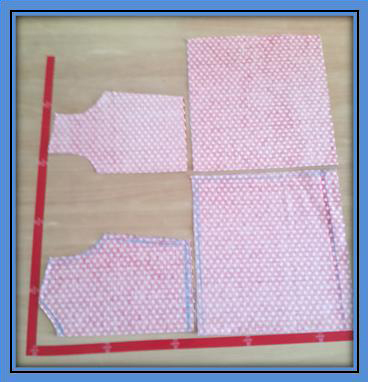 Take the back panel of the frock separate and fold it. 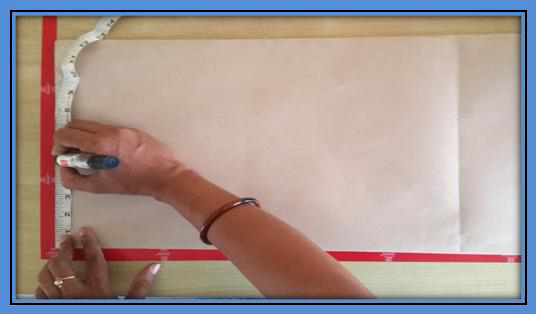 Now cut an opening in form of a straight line right at the centre. 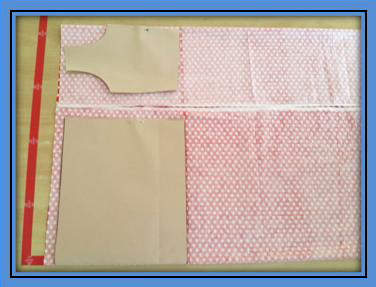 Now, use the two placket pieces for binding by sewing a single fold on one side of these pieces. Place the piece measuring 3/4 inches on the left side of the back panel and stitch. Similarly place the other 1 1/2 inch piece of the right side of the back panel and sew. After finishing the plackets, join the bottom of the body part together with single knot. Moving on to the lower part stitch the two skirt piece together along the sides. Next increase the stitch length to maximum for gathering for skirt. Also minimize the skirt’s upper opening according to the waist size. Place together the upper body and lower skirt and stitch them together, keeping in mind the waist size. 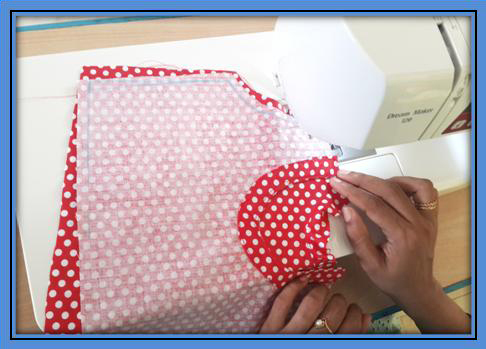 Make sure that the right side of the fabric is facing each other while stitching. After Stitching you Frock is all ready but the Ribbon, which we will finish in a moment. Finally fold the bottom of skirt an stitch them together. And your Frock is ready. Surprise your little girl with this nice little gift. She will love it. 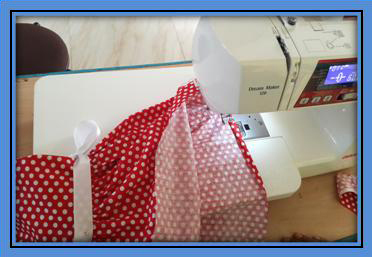 This entry was posted in Sewing and tagged Fashion, Garments, Indian Garments, Sewing by Blogger. Bookmark the permalink. Thank You Shali. Your feedback is very valuable to us. Hi I love this drafting and explanation method. I have a question. After waist line. U calculated wastline divided by half and muliplied by 2. U mean that 6 divid by 2 and multiply by 2 I am not getting that 12. next one is u have mentioned that extension of chest line is 12 and end of the body line 12. I hope it is extension of wasit line not chestline .can u clarify me in this Pls. Thanks u very much for the nice job.we are expecting more information from u.
thanks u very much for this explanation and drafting method i like this process. Very Gud explanation. Easy to understand. Thanks for the tutorial. 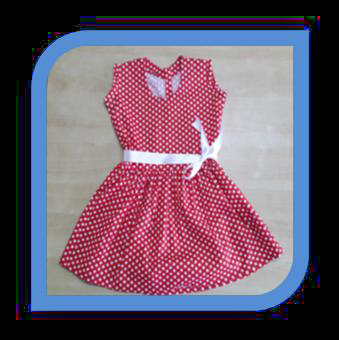 I want to keep a garment will u help me to know more about kids dresses. 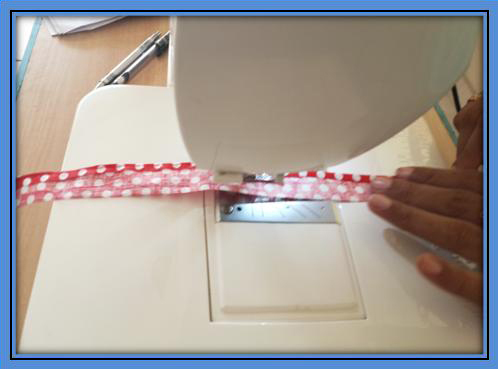 Its very amazing and easy way to cutting and stitching method. Thanks to u share with others. 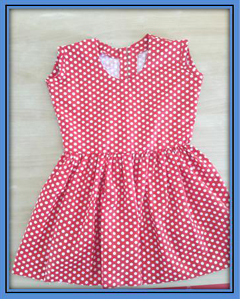 I made this frock for my four year old granddaughter. It has come out very well. Thanks. Want to learn more. Will watch your other videos too. Its nicely explained, really appreciable. Thank you. I want seven years girls measurement dear please help me. Thank you so much.